Dr. Pfeiffer contends with an abrasive patient who seems to have nothing physically wrong with him. After hitting a high note with “Fallout”, AfterMASH continues strong with “Bladder Day Saints.” Like “Fallout,” this episode sees Dr. Pfeiffer heavily involved in the primary storyline, alongside Potter. Once again, Father Mulcahy has little to do: he takes a photograph and has a few brief conversations, playing a small role in the secondary storyline, which features Klinger. 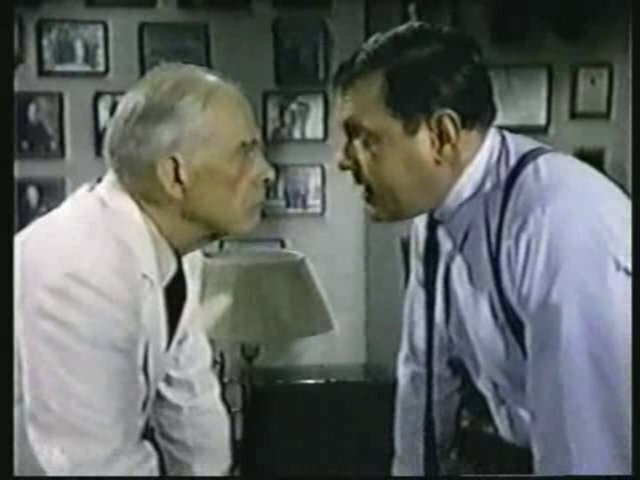 The primary storyline sees Dr. Pfeiffer confront a bitter, angry patient named Kraus who claims his back hurts. His back x-rays are clear and Potter confirms Kraus most likely wants to keep his disability checks rolling in. Unfortunately, Dr. Pfeiffer doesn’t play nice. Kraus has a connection with a Congressman, whose aide calls Mike D’Angelo and before long Dr. Pfeiffer is in trouble. Another confrontation between Potter and Mike D’Angelo. It’s taken a long time but Dr. Pfeiffer is finally starting to develop as a character. 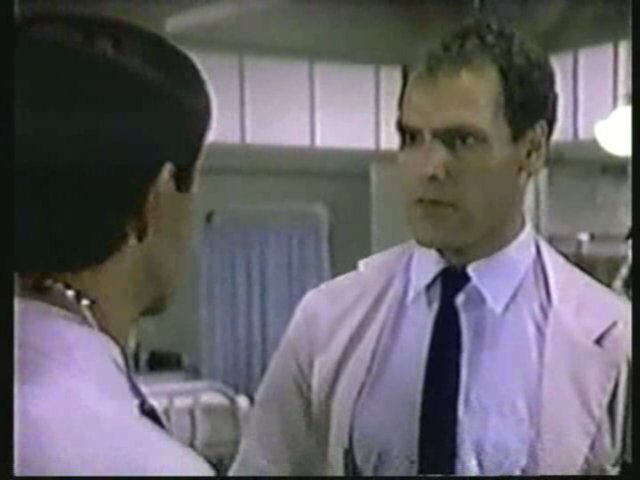 Dr. Pfeiffer learns his patient died. Meanwhile, the secondary storyline sees Klinger runs into an old friend from Korea named Pete Sax. The two used to play football together. Klinger plans to get tickets to a football game but changes his tune when he learns his Pete lost a leg. For reasons never fully explained, Klinger can’t handle this information, and he tries to avoid Pete. After a chat with Father Mulcahy, Klinger realizes his friend hasn’t changed just because he lost a leg. As I mentioned earlier, Father Mulcahy doesn’t have his own storyline. He plays a role in Klinger’s storyline and takes a photograph of some of the bladder patients but otherwise has nothing to do with Dr. Pfeiffer’s storyline. Potter plays a big role in Dr. Pfeiffer’s storyline but isn’t involved in Klinger’s. Soon-Lee volunteers at General General. There also a minor plot point involving Klinger worrying about Soon-Lee volunteering at the hospital. It goes nowhere. Mildred Potter and Alma Cox do not appear in this episode. Bonnie Hornback is seen for the first time since “Shall We Dance,” the seventh episode of Season 1. This was the second of three episodes written by Everett Greenbaum and Elliot Reid. Greenbuam wrote 24 episodes of M*A*S*H between 1974 and 1978 with his previous writing partner Jim Fritzell, who died in 1979. Guest star Mickey Jones previously guest starred in the M*A*S*H episode “Snap Judgement” during Season 10. Guest star Kevin Brophy previously guest starred in the M*A*S*H episode “Life Time” during Season 8. Guest tar Robert Balderson previously guest starred in the M*A*S*H episode “Blood Brothers” during Season 9.